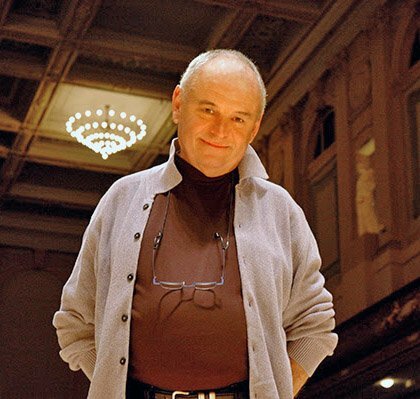 One of the great figures in American choral music, John Oliver, died Wednesday April 11th after a long illness. 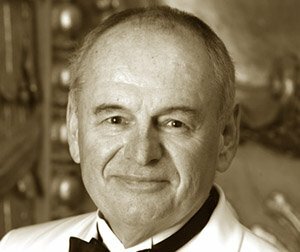 He founded the Tanglewood Festival Chorus, the chorus of the Boston Symphony Orchestra, in 1970 and led it until his retirement in 2015. Before the formation of the TFC, the BSO had worked with a variety of local groups for performances of choral–orchestral repertoire. This had long been a problem for the summer season at Tanglewood, when college and community-based choruses in Boston were out of season and thus unavailable, and it was difficult to build an adequate chorus out in the Berkshires. Oliver, who had been a graduate student of Lorna Cooke deVaron at the New England Conservatory, became connected with the BSO by training a children’s chorus for Wozzeck and the Mahler Third under Leinsdorf in the 1960s. When he proposed creating a Boston-based chorus for Tanglewood, the idea was accepted for the 1970 season. Originally a group of about 60, it was supplemented by other choruses for each Tanglewood concert weekend. John’s belief that a group of good singers, using healthy technique, could make a beautiful and unified sound without modifying each singer’s innate vocalism constituted a significant feature of his method. In Boston, and probably elsewhere, prejudice persisted against choral singing among trained singers (and their voice teachers), who feared being strait-jacketed into an unnatural singing style in the name of ensemble “blend.” TFC became a home for many singers who didn’t believe they’d be comfortable in other choruses. In the early years of TFC, John was known for his detailed instructions about cutoffs, breaths, phrasing, and dynamics. As time went on, and the ensemble developed a “house style,” such markings became less necessary as we all learned to listen to each other and use our own musical instincts. Another hallmark of the Tanglewood Festival Chorus became singing from memory (“off-book”), which began with a staged opera, continued to the frequently-performed Beethoven Ninth, and eventually became the norm for almost everything. Most BSO conductors who worked with TFC for the first time started with surprise, then a bit of trepidation (because without scores the chorus could be more reliant on the conductor for cues and instructions), and finally pleasure as they found they had a great deal of control and flexibility with everyone’s eyes on the podium. The chorus and John developed close relationships with the BSO’s Music Directors and regular guest conductors. Maestros like Eugene Ormandy and Rafael Frühbeck de Burgos enjoyed frequent visits to John’s home in the Berkshires, where his carefully-tended gardens provided fresh produce for his gourmet cooking. Another aspect of the TFC’s work that Boston audiences may not be aware of is the annual Friday-evening “Prelude” concerts that the chorus has presented since the beginning. These give the group an opportunity to explore a cappella repertoire, and these concerts have also included collaborations with small groups of BSO and Tanglewood Music Center instrumentalists. There were a number of occasions when John Oliver conducted concerts with the Boston Symphony and the TFC, beginning with a St. Matthew Passion at Tanglewood in 1985 when Seiji Ozawa injured himself during the intermission and John had to conduct the second part. Later that year, he led a run of the B minor Mass when Seiji Ozawa had to rush to Japan for a family emergency. Donald Martino’s The White Island was premiered under John’s direction in 1987. And memorably, he took over for an ailing Kurt Masur during the rehearsal process for the Beethoven Missa Solemnis in March of 2012, leading the performances in Symphony Hall and at Carnegie Hall. John Oliver also headed the vocal and choral program at the Tanglewood Music Center, taking responsibility for auditioning young singers for Phyllis Curtin’s training program as well as for other activities of the TMC. Some of the singers he “discovered” in that role include Cheryl Studer and Stephanie Blythe. The Chorale also sang works like Bach’s B Minor Mass, Handel’s Messiah, Mozart’s Requiem, Beethoven’s Missa Solemnis, and Brahms’s Ein deutsches Requiem to great acclaim. Even before the formation of TFC, John Oliver led the choral program at MIT and taught music courses as a member of the faculty. Many singers who began as student choristers at MIT later joined the Tanglewood Festival Chorus. What a wonderful account from an insider on the philosophy behind the sound of the Tanglewood Festival Chorus, which we all so much respect. John Oliver’s confidence in his singers, the careful instruction he gave, and then the freedom he gave them explains the freshness and musicality we all enjoyed. Thank you, Stephen. Thank you, Steve, for this wonderful tribute. I’ve just been reminded of a spooky coincidence: John Oliver died on the same date as the first-ever public concert featuring the Tanglewood Festival Chorus, April 11. A lovely tribute. I’ve had the pleasure of attending BSO/TFC performances, open rehearsals, and chorus rehearsals of great choral-orchestral masterworks since 1972, and John’s preparation of the chorus was always engaging and enjoyable, even for a “civilian” like myself. Thank you, Steve. Great piece, Steve — thanks for representing all of us in the TFC community so very well. My condolences to friends, family, and loved ones on the loss of John Oliver. I will never forget the performance of Brahms’ German Requiem we heard at Tanglewood. It had been scheduled to be conducted by Robert Shaw, but with his passing away, Edo de Waart led the performance. We were completely and utterly blown away by the performance. I have no recall of who the soloists were, but it didn’t matter because it was clearly the Tanglewood Festival Chorus’s show and finest hour plus that I ever heard. They were literally perfect, and it could not have been done any better. To call that performance moving is a tremendous understatement. RIP, John. And thank you for so much joy and pleasure you gave us all. Let me add my thanks to you, Steve, for a fine tribute. After my first TFC rehearsal, I commented to a friend I’d sung with for years, “Oh, I remember — music if fun!” It was always fun with JO, and that sense of joy in the music-making pervaded TFC/BSO performances. Thank you, Steve, for this beautiful article. Does anybody know if there is a tribute — musical or otherwise — planned at MIT? As an instrumentalist with the great good fortune to have played regularly with the John Oliver Chorale and the MIT Choral Society, I can relate to the inspiration recalled here by those who sang for him. One of my first gigs in Boston was with the JOC. First half of the program: Mozart Mass in C minor. Second half: Mozart Requiem. We did it on two rehearsals. It was magnificant. He was the most efficient conductor in rehearsal I’d ever seen. His personality was such that you were glad to give him everything you’ve got. A blessing on the musical life of Boston.